This holiday fav is sure to satisfy Santa’s sweet tooth! To make this Cookie Crunch bonbon, I start with a crunchy cookie and blend it my creamy milk chocolate. 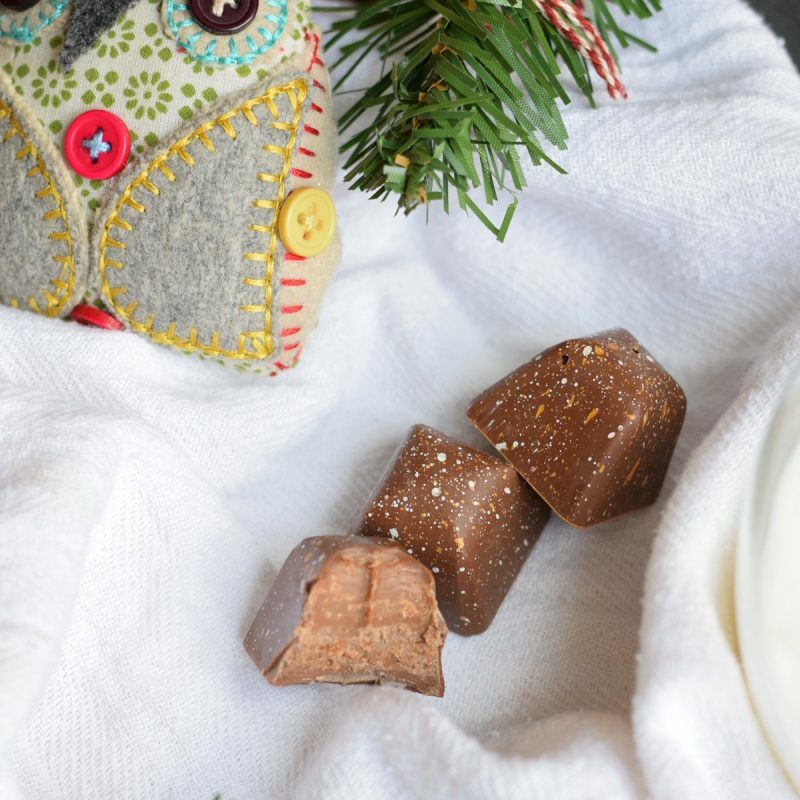 And … to offset the natural caramely notes of the two, I sprinkle just a dash of cinnamon into the mixture and that brings a holiday surprise to this tasty bonbon! Gift Idea: Pair this bonbon with a bag of coffee beans and some caramel sauce. They can whip up their own caramel macchiato while they nibble on this tasty morsel! This entry was posted in Flavor Spotlight, Gift Idea, Holiday Collection and tagged cinnamon, cookie, milk chocolate, Santa.